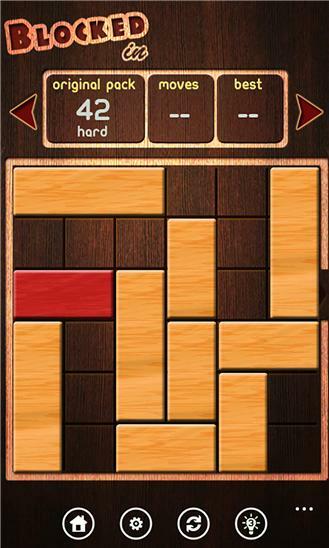 Join over 5 million people who downloaded Blocked In, one of the best rated puzzle games in the Windows Phone Store. Blocked In is simple; you move blocks around and try to get the red one out. It can be frustrating; you will breeze through some levels and pull your hair out on others. And, it is fun. That is not just us saying it. Take a look at some of the 10,000+ reviews and you will see a pattern. Everybody loves Blocked In! Features: - 600 unique puzzles: Enough to keep you busy for a long time. - 3 unique themes: There is one for you. - 2 game modes: Challenge yourself or relax and have fun. - Hints: You will get stuck. 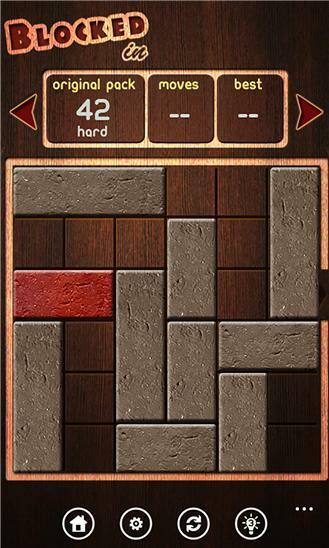 You will complain about unsolvable puzzles. We will not help you. But you can help yourself with this handy little feature. - Playback: See how you completed a level, so you can do better next time. Your 5 stars reviews will keep updates coming. Please let us know how we can improve Blocked In. For support contact support@sourgreenplums.com 2.18.0.0 Fixed stability issues 2.17.0.0 Fixed a display issue with levels screen 2.16.0.0 Fixed visual glitches with 720p phones 2.15.0.0 Windows Phone 8 version. More updates are on the way.